Società Agricola C.O.P.A.’s green asparagus is the jewel in the crown of its output, with around 250 hectares devoted to this crop. Green asparagus from Canino is known throughout the world for its excellent quality and early presence on the market ‒ in late January it is already possible to enjoy the first asparagus. With its firm, fleshy stem and small, compact leaves, the green asparagus is harvested by hand by the producer members of C.O.P.A. who select the tastiest shoots. Our asparagus is distinctive for the vivid bright green colour of the whole stem, which is firm and straight with compact, dense tips. Unlike in other production zones, the lower part of the shoot is almost entirely green and tender. This allows the green asparagus to be enjoyed in its entirety, often leading it to be called the ‘mangiatutto’, or ‘eat all’ asparagus. 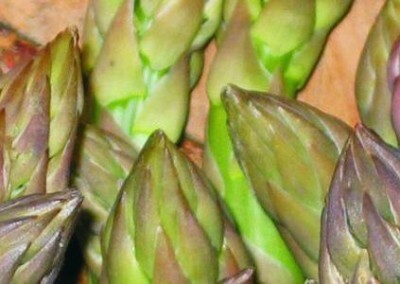 The territory of Canino is particularly suited to asparagus production, and by the late 1970s it was already one of the centres of reference for this crop. 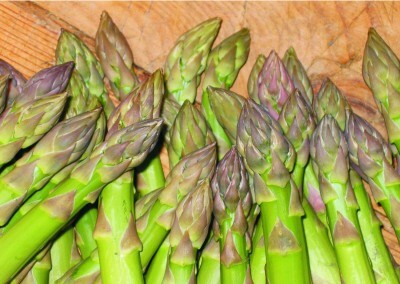 The presence of underground layers of geothermal water with a temperature of 35-40°C has enabled the special forcing technique of green asparagus production to be developed, which characterizes Società Agricola C.O.P.A.’s production. 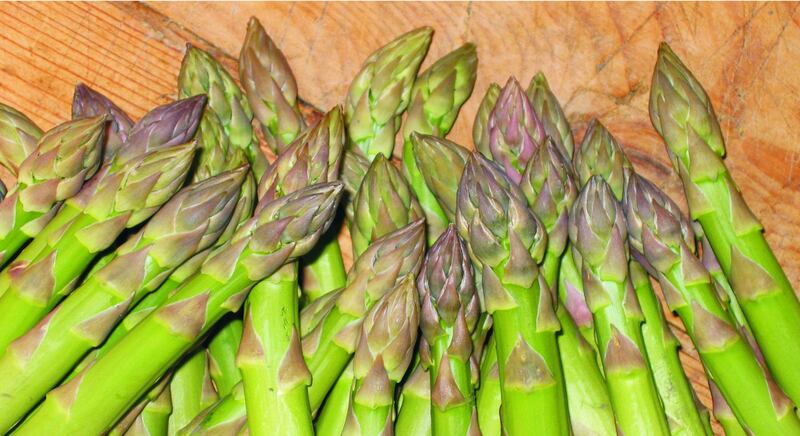 Asparagus plants start producing when the temperatures begin to warm up. By pumping warm water from the geothermal layers to the surface and taking it near the roots of the plants, they start to produce shoots as early as late January, bringing production forward by 40–50 days compared to the open field. 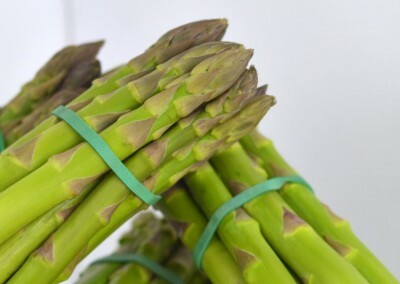 In the Canino area, the green asparagus production period is therefore very long, lasting from the end of January until the first 10 days of June, whether in special asparagus beds or open fields. This early niche production, which is genuinely Italian and without chemical products aimed at increasing quantity, should not be confused the imported Spanish or South American asparagus of dubious origin and much lower quality. The green asparagus harvest begins in spring, in the open field. Every morning, expert asparagus growers check each plant and harvest only the specimens at the correct stage of ripeness and length. The harvested asparagus are then quickly brought to the cooperative for subsequent packing. The total annual production is around 1,500 tons of asparagus from an overall area of around 250 hectares devoted to this crop. April is the month of increased production in which up to 35 tons are produced each day. On arrival at the cooperative from the fields, the asparagus are placed in new grading machines that operate in a single fluid step to cut, wash and grade the product. Divided according to colour, length, diameter of the shoot, and shape, the asparagus are then grouped into bunches on which a decorative identification parchment is placed with the cooperative logo. After grading, the asparagus are packed in bunches of different weights: 250, 400, 500 or 1,000 grams. The bunches are then separated into boxes and at this point the green asparagus are ready to reach our customers.